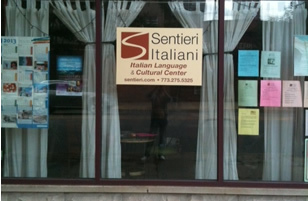 Learn Italian in Chicago or online with Sentieri, where the Italian language and culture converge. Become fluent with Sentieri by combining language and culture using the conversational approach. Italian private lessons can be done in the comfort of your own home via Skype™ with one of our highly qualified instructors. Check out our blog for Sentieri news and updates. See what the world is saying about Italian and Italian culture - and learn an idiom or two while you're at it! 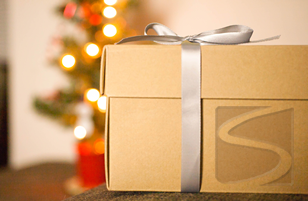 Gift certificates for Sentieri Italiani make the perfect gift for the Italophile in your life. The certificates are flexible and can be used for language classes, book clubs, cultural events, film nights and tours. To learn the language of Italy you need to embrace the culture. To understand the culture of Italy you need to have a grasp of the language. At Sentieri Italiani, we have created an environment where language and culture converge — offering individuals and businesses a variety of programs and services ranging from Italian language classes to learning about the many facets of the Italian culture from food and wine, to literature and film, to art, history and lifestyle. An inviting environment where you can gain knowledge of all that Italy has to offer — whether your desire is to study the beautiful language of Italy or to learn about the country’s rich, multi-faceted culture. Sentieri Italiani is the place to take Italian classes and learn about Italian culture. Prego, we invite you to take a look at the many paths that Sentieri Italiani has created to connect you with Italy. 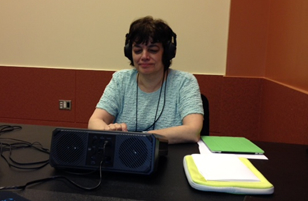 If you have a question, please don't hesitate to call us at 773-275-5325 or submit our contact form. Sentieri Italiani Presents an Evening of Musica Italiana Join Sentieri Italiani for an enjoyable night of Italian music from the 18th century through now — including Neapolitan songs, opera arias, Italian pop hits from the 60s and 70s, and more! Featuring Italian-American jazz and cabaret singer Robert Rodi on vocals and Neal Alger on guitar….